Looking for the perfect Christmas brunch recipe? 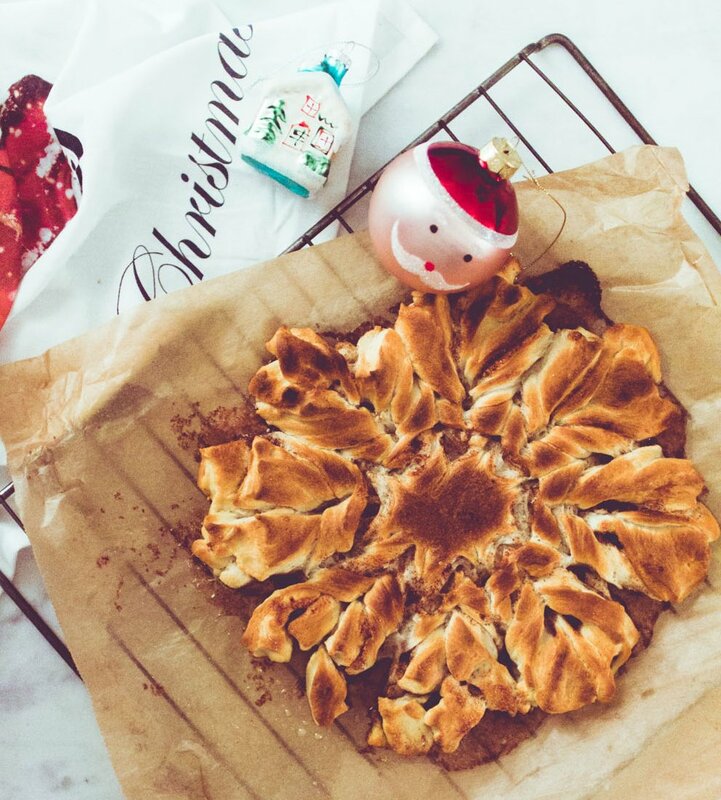 Try this lovely cinnamon star made with croissantdough. Open the Danerolles cans and roll out the two dough rolls. Cut each dough piece into half. You now have 4 halves; two from each can. Roll a flat pancake out of two halves. In total you will have two flat pancakes. Lubricate one circle with some butter and cinnamon. Put the second circle on top of the lubcricated circle. Cut the 8 triangles in halves again such that you get 16 small triangles. Take two neighbouring pieces of dough in your hands and twist them to the outside. Twist 2 times. Then squeeze the outsides of the dough together to create 1 twisted piece of dough. Continue all the way around. Bake for 20-25min at 180C until golden brown.